Sara Welle: Best Answer to Favorite Distance to Race Ever! Today on the show I’m talking with Sara Welle. Sara definitely loves running races of a variety of distances, and you’ll probably get a kick out of her answer for her favorite distance to race. It definitely took the conversation in a direction that I didn’t expect but it was a whole lot of fun! 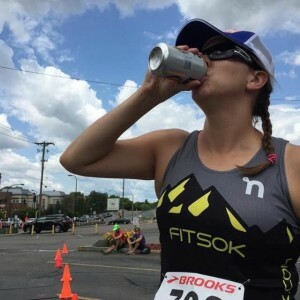 On today’s show we talk about a lot of different subjects from her beer mile experience, to the “un-sexiness” of the 10 mile distance, becoming an RRCA running coach, and a whole lot more. Here are some of the highlights of today’s chat. If you’d like to connect more with Sara, check out her blog and follow her on Twitter and/or Instagram. https://i0.wp.com/www.dizruns.com/wp-content/uploads/2015/10/unnamed-1-e1443713264151.jpg?fit=300%2C300 300 300 Denny http://www.dizruns.com/wp-content/uploads/2015/01/Logo-Trans.png Denny2015-10-01 13:20:582015-10-01 13:20:58Sara Welle Easily Gave the Best Answer to the Question of Favorite Distance to Race on the Show Ever! Great light-hearted conversation with Sarah. I love hearing such genuinely, positive people. Glad you enjoyed it! She was SO much fun to talk to!